My experience with breastfeeding began over 25 years ago….I do not know how I came up with the idea to want to breastfeed. I had never seen another woman breastfeed her baby and no one in my family had breastfed their babies. It was just a natural instinct to want to feed my baby with what my body was producing for her. But it was difficult without having anyone who knew how to help through the challenging parts of breastfeeding. Without having support, I ended up giving formula when my daughter was about 2 months old. I went on to have 3 more children and successfully breastfed them all for 12 months each, which over 20 years ago, that seemed like forever to the rest of society. I did this without attending any breastfeeding support group meetings (none were available to me) and without ever having seen another woman breastfeed. I went off of natural, maternal instinct. Fast-forward 19 years later, my oldest daughter gave birth to my first grandchild and of course breastfeeding was the feeding choice because it was all that I knew. But she had some medical issues which led to an emergency c-section and I had to aggressively advocate for her to do simple things like have my grandson go skin-to-skin and feed from her within the first few hours after birth. I could not understand why I had so much opposition to something that was so biologically natural but I had not had any formal training in lactation. I was basing everything off of natural maternal instinct. She went back to college 2 months later and we struggled trying to keep her supply up while she was in classes so she was advised by a provider to use formula. I wasn’t comfortable with that because I knew that we could try to express her milk to give to my grandson. So, we went to a lactation professional (I later found out that she was an IBCLC) and she gave my daughter a breast pump. We eventually figured out a schedule that minimized how much time she was away from my grandson so that she only had to pump once a day. Six month later, at the age of 42, I gave birth to my 5th child. By this time my daughter had been breastfeeding my grandson for 6 months. I continued to babysit my grandson with the help of her sisters. They would watch my grandson and I would feed him since I had milk now. This made it so much easier than worrying about pumping, warming and cleaning bottles. As we continued as a breastfeeding family, I realized that the very first person that I had seen breastfeeding was my OWN daughter. In 43 years, I had NEVER seen another woman breastfeed their baby. This was also during the time that social media was on the rise (at least it was new to me) and I looked online to find other women who, looked like me, breastfeeding their babies. That is when I found the group Black Women Do Breastfeed and met Shlonda Brown. She not only introduced me to an online community of Black women breastfeeding but to the whole lactation profession. I quickly decided to become a Certified Lactation Counselor (CLC) and then decided to become an International Board Certified Lactation Consultant (IBCLC). I enrolled in the Mary Rose Tully Training Initiative (MRT-TI) at the University of North Carolina, Chapel Hill where I met my CGBI (Carolina Global Breastfeeding Institute) family. Catherine Sullivan and the late Dr. Miriam Labbok lit a fire in me that had me hooked and I never looked back. I went on to learn about the disparities in the Black community surrounding breastfeeding rates and maternal & infant mortality and knew that I had to do my part to protect, promote, and support breastfeeding, especially Black breastfeeding. I was given the opportunity to create a Black breastfeeding support group under the guidance of Rebecca Costella through a grant provided by the National Association of County and City Health Officials (NACCHO). From there we started out doing support group meetings twice a month and we have since grown to not only provide breastfeeding meet-ups, but we have a doula collective with 9 Black doulas and partnerships with Black healthcare and mental health providers to position Momma’s Village to becoming an instrumental resource in the Black community in Fayetteville/Ft. Bragg and the surrounding areas. I also was able to start a private practice lactation business called Alpha & Omega Lactation Services which has a clinic, offers limited home visits, accepts TRICARE and Medicaid, and has a Pathway 3 Lactation Training program to increase the number of Black IBCLCs in our community. We have moved our main office to 100 Hay Street on the 6th floor of the Revolutionary Coworkers space which has allowed us to connect more with the community. 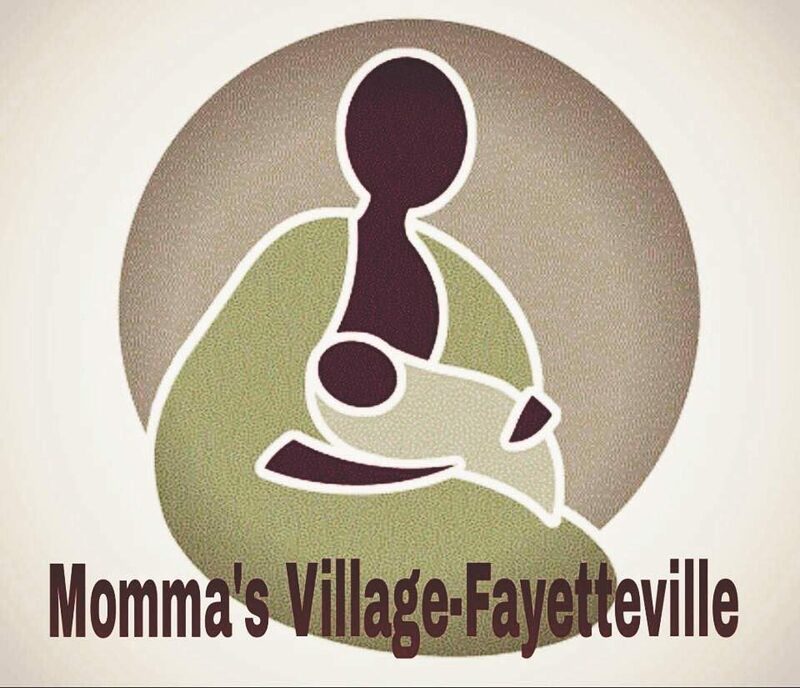 We are very excited for the future impact that our Momma’s Village-Fayetteville volunteers and workers will have on the health of our community. We have had the support of some fabulous organizations such at Black Mothers’ Breastfeeding Association and the Cumberland County Health Department through the ICO4MCH grant. We look forward to expanding our community partnerships as we continue to invest in maternal and child health. Please join us on our journey! There's always that ONE! Now why won't he just go to sleep like the girls!!! We need to change this narrative. Babies don't manipulate, they communicate! When you are #traveling on a plane with sneezing folks....you bring your protection! #elderberrysyrup #elderberrytea #probiotics #strengthenyourimmunesystem #letitdowhatitdo #stopshakingfolkshands #sneezeinsideyoursleeve #coughinsideyoursleeve #bearespectfultraveler #wintervacation2018 Tip: Put your elderberry syrup in those 3oz bottles. 😊You're welcome!